How has 2016 been treating you? What have you been thinking about? How have you been feeling? In this video lesson, I will show you a language structure that we tend to use when we are catching up with friends. I will show you how to say what you have been doing or how you have been feeling. I will explain the structure in a simple way. You will get this, even if you are not crazy about grammar. Observe the dialogue and the translation below it, and compare the verbs in bold in both versions. Sueli: E aí, o que você tem feito ultimamente? Vânia: Tenho trabalhado bastante. E você, o que tem feito? Sueli: Nada demais. Tenho me sentido muito cansada. Sueli: So, what have you been doing lately? Vânia: I have been working a lot. How about you, what have you been doing? Sueli: Not much. I have been feeling very tired. In English, you call this tense the Present Perfect Continuous. In Portuguese, we call it Pretérito Perfeito Composto do Indicativo. But let’s not get all hung up on these complicated tense names. Let’s look at this in a practical way, and you will see that it is easy to say what you have been doing in Portuguese. Eng: I have been working a lot. Port: Eu tenho trabalhado muito. Eng: Paula has been traveling to different places. Port: Paula tem viajado a lugares diferentes. Sueli: O que você tem feito? Vânia: Eu tenho saído muito com meus amigos. Sueli: Aonde vocês têm ido? Vânia: Temos ido ao cinema. Sueli: Eu tenho passado os fins de semana em casa. Sueli: Tenho lido ótimos livros. Sueli: What have you been up to? Vânia: I have been going out a lot with my friends. Sueli: Where have you guys been going? Vânia: We’ve been going to the movies. Sueli: I’ve been spending the weekends at home. Sueli: I’ve been reading great books. E aí, o que você tem feito? Tem praticado português? The best way to learn how to speak a language is by speaking it. Books, videos, and software are all useful, but they can only do so much for you. Book a trial lesson with us To speak Portuguese with confidence, you need to practice speaking. 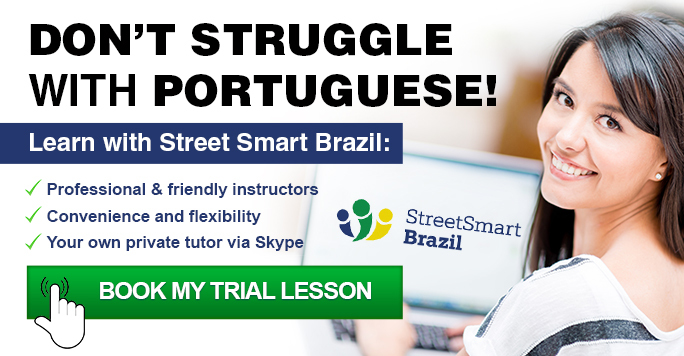 Book a trial lesson with us to learn and practice Portuguese with friendly and professional Brazilian instructors. 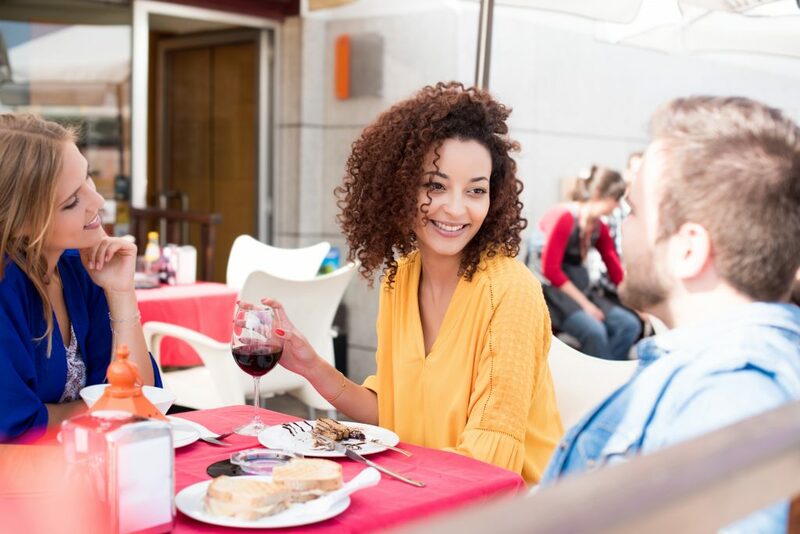 Just imagine how wonderful it will feel to speak Portuguese with confidence. No, these are different tenses. I have studied this topic. = Estudei esse tópico. Notice that when you use the present perfect in English, I just use the simple past in Portuguese. I’ve been studying this topic. = Tenho estudado esse tópico. Or: Venho estudando esse tópico.